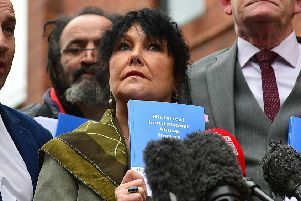 Issues of culture and identity have featured at the heart of the Stormont talks and in its simplest terms this manifests itself in the main ask of Sinn Fein for an Irish Language Act (ILA). The irony is that the Irish language has been so heavily politicised and weaponised by the actions of republicans and so disrespected by the actions of the DUP, that between them they have created one of the main stumbling blocks to finding an agreement in order to set up a new functioning Executive. The Ulster Unionist Party fulfilled its commitments with regard to language and culture. When Michael McGimpsey was the Minister for Culture, Arts & Leisure, Foras na Gaeilge, a cross-border implementation body was established for the Irish language. The Irish language was also lodged under the European Charter for Regional or Minority languages fulfilling all aspects of the Belfast Agreement in respect to the Irish language. Millions of pounds have been spent on the Irish language and nobody who wishes to learn or speak Irish is being discriminated against. It is worth noting that an ILA was the consequence of the 2006 St Andrews talks between the DUP and Sinn Fein. It was they who raised the expectations of an ILA and it is they who must find a way around this impasse. The Ulster Unionist Party however does have a possible solution. The Flags, Identity, Culture and Traditions (FICT) commission was set up in June 2016 under the DUP/Sinn Fein Fresh Start Agreement. It has been running for nine months and its interim report is due in the next few weeks. It is due to present its findings to the Executive Office in December 2017 – eight months from now. One of the main issues being considered is the Irish language through considerable engagement with civic society. It is also worth noting that the FICT commission is made up of political representatives (including Sinn Fein), plus lay members including academics and historians. The discussions offer an insight as to how the issue of the Irish language is viewed throughout Northern Ireland and how an accommodation could be sought and found that reflects civic society. Given that the Commission is already in place and operating, it would surely not be unreasonable to ask that all parties agree to set aside the culture and identity strand of the Stormont castle talks and allow the FICT commission the space and time to come to their conclusions on the scope of the Irish language in Northern Ireland’s civic society. Once this has been delivered then talks could resume with all parties to discuss the issue chaired by an independent body. The Ulster Unionist party believes it is time to de-politicise the issue and take the heat out of the Irish language. Let all parties be reasonable and constructive in their arguments and allow the FICT Commission to complete its work and give Northern Ireland a roadmap to an agreed destination where identity and culture can unite and not divide us.